Follow the directions for the 2 crust pie on the box. 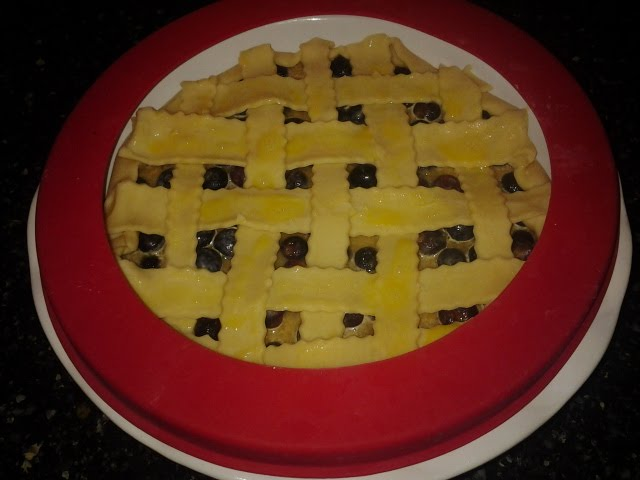 For the crust top, you can choose to keep it whole and pierce it, or come up with something cute like I did and create a lattice or other decorative top! For the filling, whisk together sugars, lemon juice, zest, cinnamon, salt, Bisquick and applesauce until combined well. Add whole blueberries and stir. 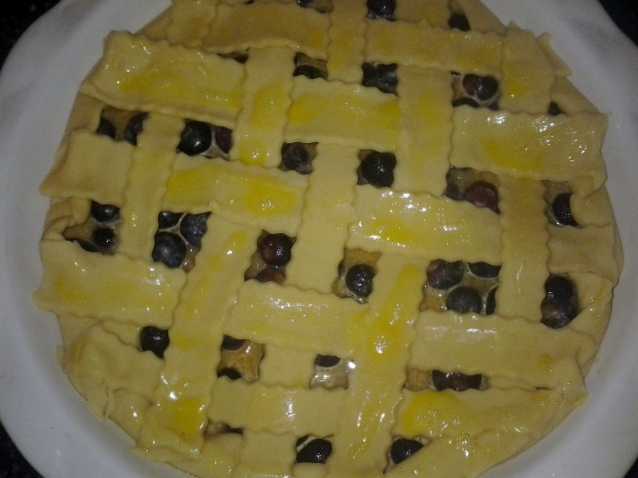 Pour into the 9inch pie crust and make sure it is evenly spread. 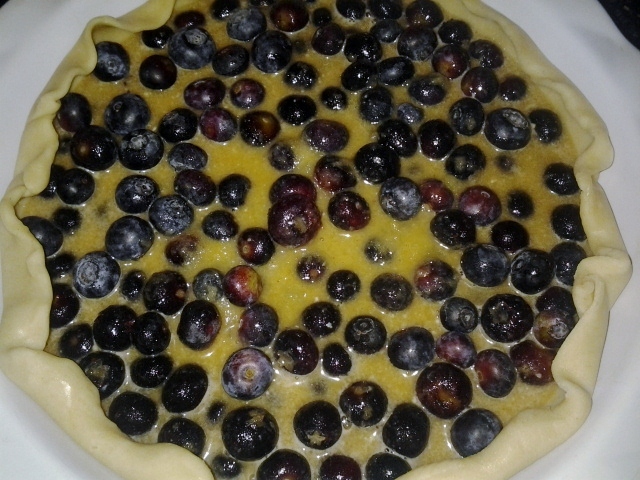 Add the top crust and brush with a slurry of milk and egg wash.
Bake for 15 minutes at 450. Cover the crust edges with tin foil (or a handy little pie crust silicon cover), reduce heat to 375 and cook for an additional 45 minutes until bubbly. 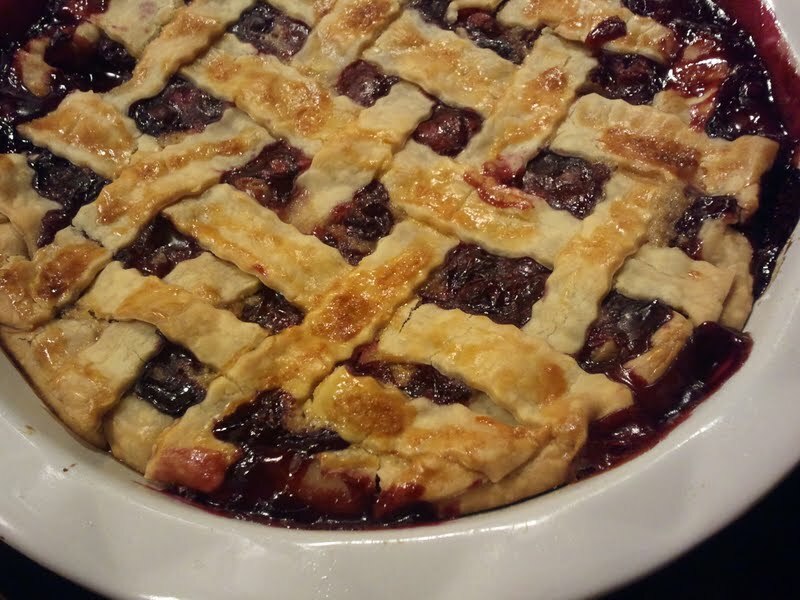 Let it cool for at least 2 hours at room temperature. 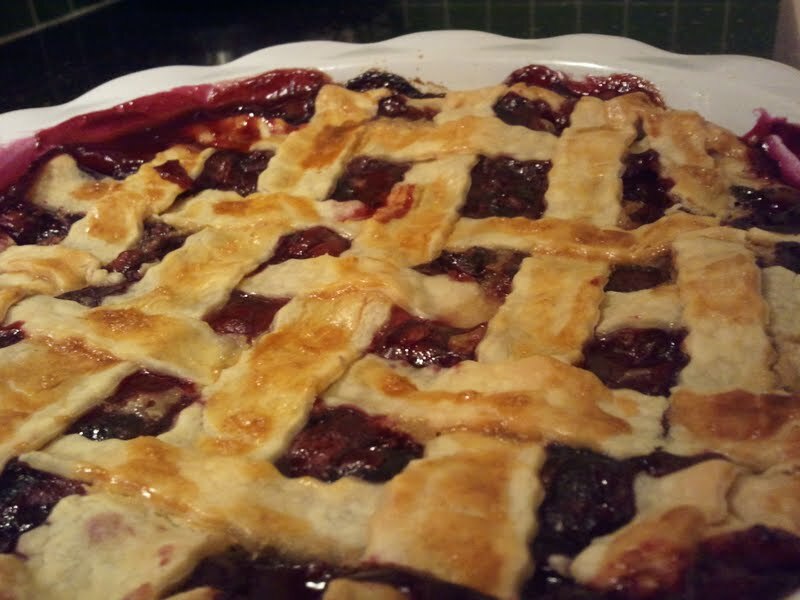 The inside of the pie will continue bubbling, but then will congeal, giving you the perfect slice when the time comes to cut. Top with whipped cream (of course), and enjoy!